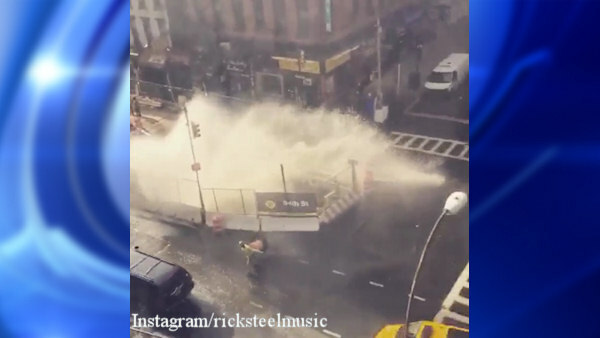 UPPER EAST SIDE (WABC) -- A huge water main break affected water service for several businesses and buildings on 2nd Avenue Thursday afternoon. The break happened in the subway construction area at 84th Street and 2nd Avenue just before 3 p.m.
Water could be seen shooting high up into the air. MTA officials say a fitting on a replacement water main had failed, causing the water main break.